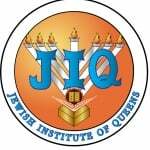 Accreditation facilitates continuous educational improvement and validates the achievement of quality education in both Judaic and General studies. Our school is accredited by the National Accreditation Board of Merkos - Central Organization for Jewish Education, based in NY. Accreditation by Merkos-COJE NAB is proof that a yeshiva or day school’s Limudei Kodesh and general academic studies programs meet the highest standards of both the educational and Chinuch worlds. Accreditation by MSA, SACS, WASC, allows a school to enjoy the most prestigious form of accreditation available in the U.S or abroad. Most importantly, accreditation means that support, trust, and involvement in a school will begin at the grass roots level and percolate through every level of a community. It frequently translates into corporate and educational foundation support. Moreover with the mood in Washington shifting in favor of private education, accreditation will render a school eligible for government funding which is expected to grow exponentially in the years ahead.